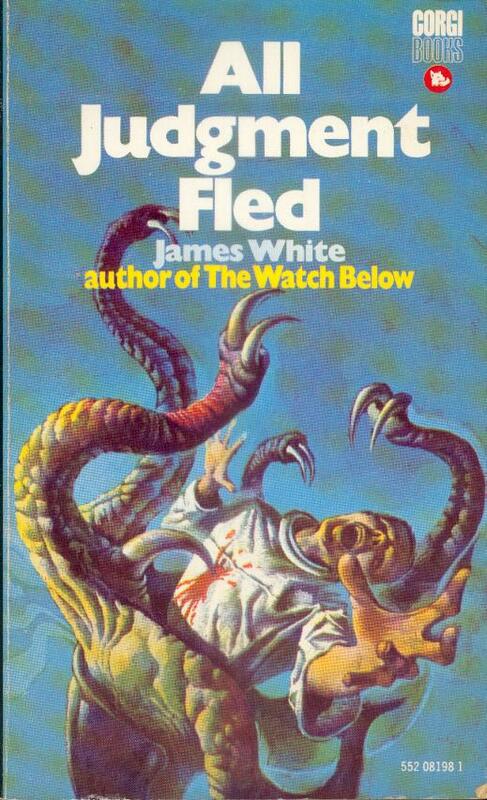 Craig Strete, one of the few Native American SF authors, picked up three Nebula Award nominations for short SF over the 70s and early 80s (“The Bleeding Man” in 1976, “Time Deer” in 1976, and “A Sunday Visit With Great-Grandfather” in 1981 although it was withdrawn). The first two are in If All Else Fails… (1980). They are both far from the best of the collection. Favorites: “All My Statues Have Stone Wings” (1980), “To See the City Sitting on Its Buildings” (1975), and “A Horse of a Different Technicolor” (1975). The pages reek with despair at the loss of Native American culture …. The narrator of the “All My Statues” is reminded of his “grandfather who died humming all the songs he had kept silent because there was no one left to sing them” (11). In “To See the City” the dead try to escape the concrete prisons of the cities that desecrate the holy places: “Buried animal and ground people were trying to reach out through the cracks in sidewalks. The ground people moved restlessly under the concrete” (36). The television, an embodiment of the white man’s control of mass culture, declares the Native American is a figment of the past, not of the present: “We make decisions for you. Take you hand of the silver screen. You are interfering with the projectionist. Yes, we listen, we tell you, you are a book, and having been written, you cannot cancel a line of it” (46). Filled with gorgeous lines, evocative images, pain…. 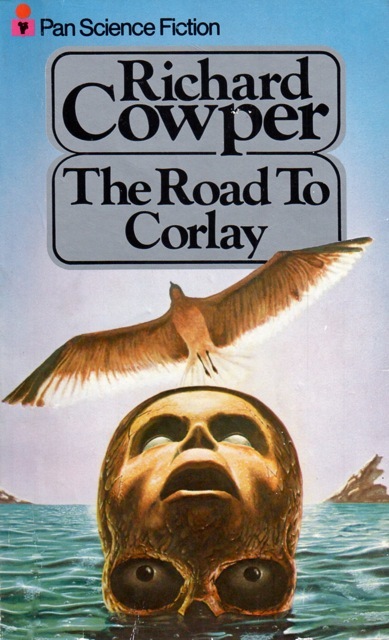 I have a feeling that I am going to reread the collection (something I almost never do) in the near future and write a full-length review… Fans of SF tackling tough themes (such as oppression, the effects of technology, and Native American myth) in a literary and experimental manner—track down this collection! 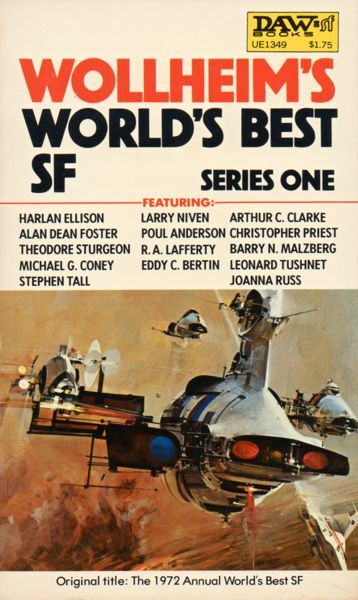 Original authors such as Craig Strete, with distinct and diverse voices, are too often neglected in the grand narratives of SF’s past. 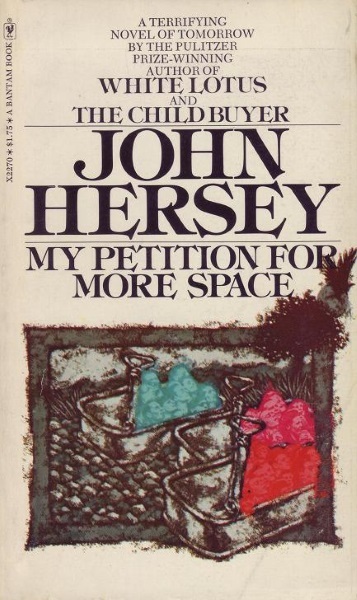 John Hersey’s My Petition for More Space (1974) is a quiet novel where the horror of the overpopulated future world sends only occasional currents of dread to surface. My Petition is also a deceptively simple novel with a crystalline structure—the vast majority of the story takes place in dialogue form, with interior thoughts, between characters waiting shoulder-to-shoulder in a line waiting for a hearing for their petitions. There is something so incredibly polished about the scenario of waiting in a line, and in this case the thoughts and actions of a narrator whose outlandish petition will never be granted. The line as a manifestation of the travails and joys of life, brief transformative encounters, and the thoughts that might occur over the course of an afternoon… Beautiful. Recommended for fans of literary + overpopulation themed SF. Who knew that John Hersey, who won the Pullitzer for his coverage of Hiroshima, wrote two SF novels? (the other is The Child Buyer, 1961). 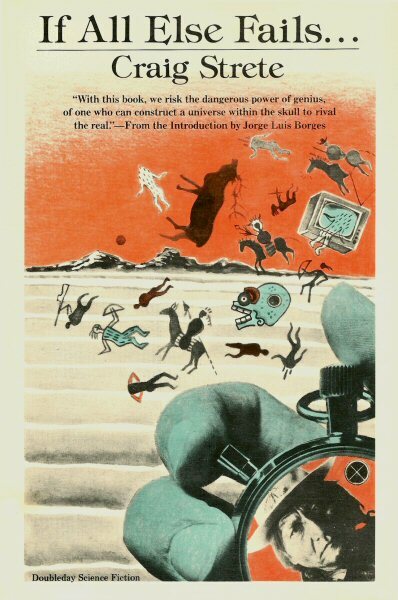 For Keith Laumer’s equally wonderful take on the endless line see my review of “In the Queue” (1970). 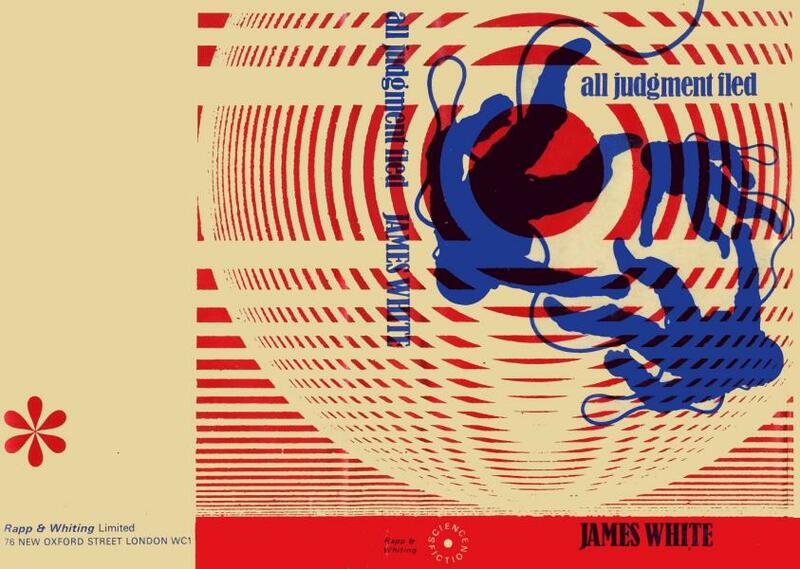 James White’s All Judgement Fled (1967) is easily the most inventive 60s/70s “Big Dumb Object” novels I have encountered. Far more complex than Clarke’s straight-laced so-called masterpiece Rendezvous with Rama (1973) or the fascinating veneer (and nothing more) of Larry Niven’s bland Ringworld (1970). 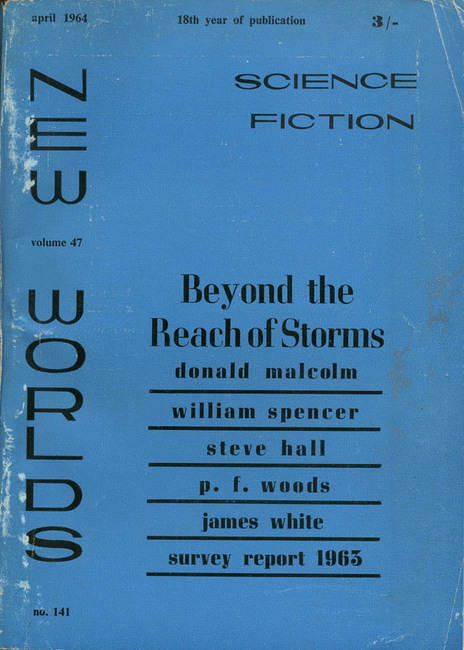 Notice that White’s novel predates both better known behemoths of this common subgenre. “It was Walters who had the last word. Deafeningly, apologetically, with the volume of his transmitter turned right up he said, ‘It was set to rebroadcast your last words as the Ship carried you out of the solar system to some dire, extraterrestrial fate. This spirited exchange of ideas is being overheard by all the world. The first third of the novel is claustrophobic and terrifying—the astronauts journey towards the strange Big Dumb Object in two tiny space capsules. One crewman is wrecked by some psychosomatic illness triggered by his psychological state…. And, all hell breaks loose as all semblance of a potential peaceful first contact breaks down. Wild theories proliferate, violence abounds, who is experimenting on who? Recommended for all fans of dark first contact SF. 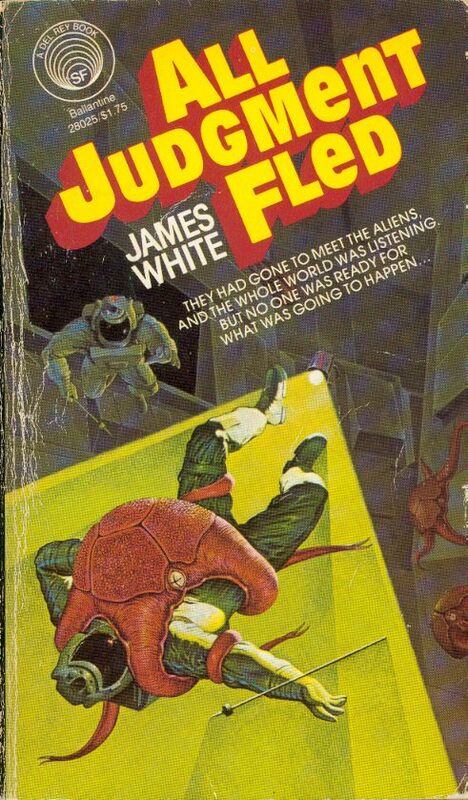 I remember reading “All Judgement Fled” in grade school and being scared to death by some of the sequences, and completely amazed at the ending. I’d like to reread it today and see how well it holds up to my memory. 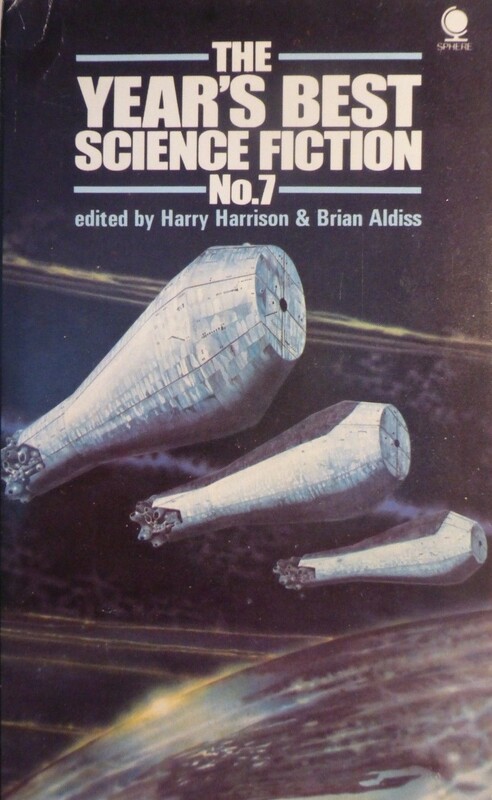 Had no idea Hersey wrote sci fi – fascinating! Me neither. But yeah, it’s a distinctly future setting — overpopulated world. Smooth writing, fun idea, interesting characters… Although, all told in a rather minimal way. I think Craig Strete could be the very sf I would like.I find it interesting from the cover,that Borges wrote the introduction.We know he influenced the later,modern sf authors,but in this case,was he ever influenced by them?It seems then that general literature does imitate what genre sf already took from them. 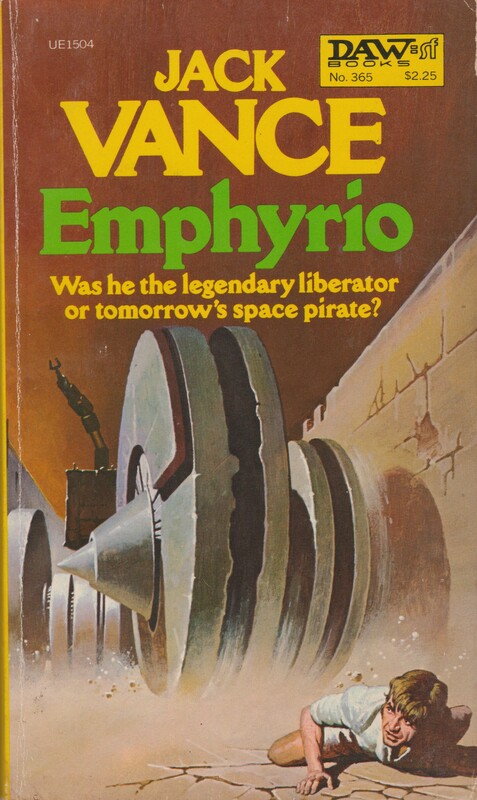 Some lesser sf authors are glorified during their lifetime,while others go unnoticed until there death,and some are forgotten.I suspect that Olaf Stapleton is unknown to many now. 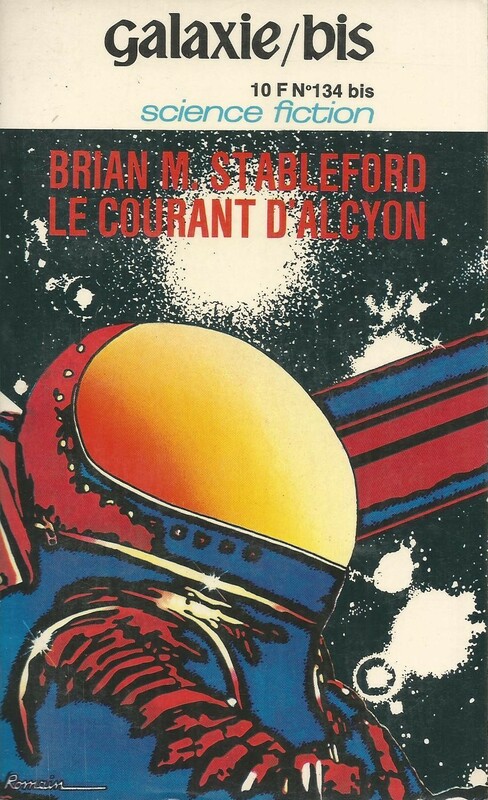 I highly recommend Strete — I doubt this collection is too expensive in the UK… I convinced a French SF fan to buy a copy (on twitter) and he found one for a few euro…. I’ll have to see.It’s very tempting however,even though it’s behind a long queue of books.Another rather unknown or forgotten author I’ve considered reading is M.P.Shiel,who wrote speculative fiction such as “The Purple Cloud” circa the 1930s. 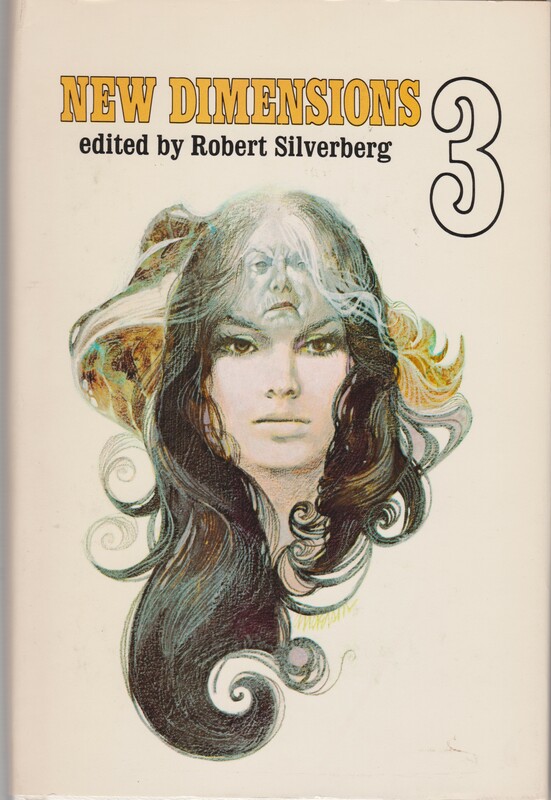 One obscure author who comes to mind,is Steve Utley,whose “Passport for a Phoenix” I read some years ago in “Galaxy” magazine.When I did,I think I wondered if we had another Harlan Ellison in our midst no less. I have not heard of Utley or Shiel — thanks for the recs. Good I appreciate it.Shiel was would have been a British contempory of Stapleton’s,but was and is much less well known I think.I haven’t got the magazine that contained the Utley story now.It was a rather strange moody piece. Of course literary authors are influenced by SF! 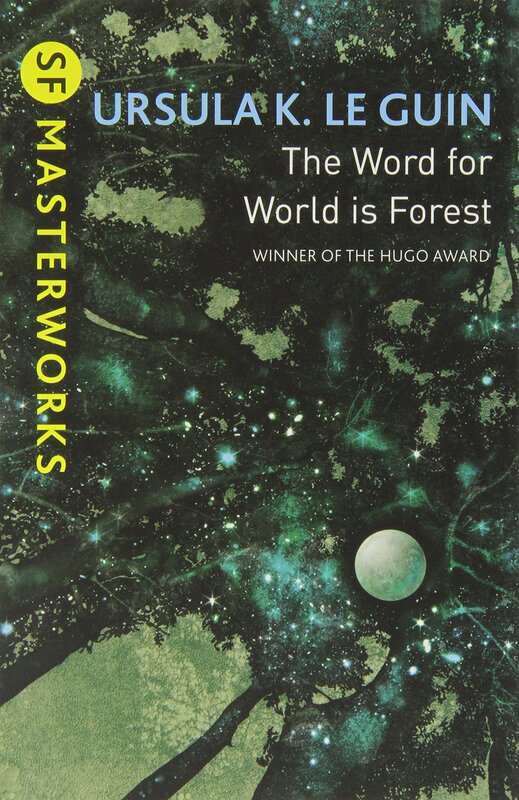 Emily St. John Mandel’s Station Eleven Comes to mind, Peter Heller’s Dog Stars, the work of Nick Harkaway (Angelmaker, The Gone-Away World) is steeped in SF knowledge, Doris Lessing for her Canopus in Argos sequence (among other things), Attwood… etc etc etc. I bet John Hersey was or else he wouldn’t have written the novel I discussed above! SF is hardly some initiate only cult — people grew up with SF magazines in their houses, on their parents’ shelves…. [we’ve had this debate many times before]. Joachim,I think you’re misunderstanding again.I know full well that literary authors are influenced by sf inside the genre,I’ve said so myself.I was only trying to say that it seems a fascinating two way process that those same authors that influenced the up and coming sf authors of the 1950s and 60s wrote stuff that in turn seemed to imitate them.Borges made a particular impact on in this respect and took much I assume from what he’d already had an effect upon.It was interesting that he should be the one who wrote the introduction to the book I thought.So much inside and outside the sf genre resembles each other. Other books that come to mind,are Angela Carter’s “Heroes and Villains”,William Golding’s “Lord of the Flies” and “The Inheritors”,and Anna Kavan’s “Ice”.Equal ammounts of what they wrote,can be found inside the sf genre and vise versa. No,science fiction isn’t a cult for the initiated,but I remember a different time to you,when only a very small minority read sf.It was only known from tv and cinema,and that wasn’t watched by so many older people either!It was frightening to tell anybody about it.I don’t think all that many literary authors read it.If you need an example of the state of the times then,I know that a book Salmon Rushdie wrote in the 1970s,was originally nominated for a Hugo,but was asked to be removed at the last moment by the publishers,who were afraid that winning that would hurt the sales of the book! Perhaps you can understand it would have an effect. Richard, I initially misread your second explanation comment. My apologies. As for Strete, he was also a friend (via correspondence) of James Tiptree, Jr. Two authors whose stories can certainly unsettle the reader, and ask necessary questions! It’s ok. I read Tiptree’s “Her Smoke Rose Up Forever”.It was a rather long tome that contained some stories I wasn’t very keen on.I thought most of her stuff and best work was in this one,but I’ve found out since that her “Ten Thousand Light Years From Home”,contains several pieces not in that volume. @ Richard Fahey. MP Shiel was an older contemporary of Stapeldon’s. His Purple Cloud was initially published in 1901. Its evocation of the end of human civilisation is powerful and truly morbid at times. Sadly the book is largely ruined for me by its last third or so and the woeful gender politics on display. Thank you.I read about him many years ago,so my memory of his literary career,is not suprisingly fuzzy.The theme of the book sounded old and stale I thought,so I wondered if that was his best book.I might try something else. It’s still worth reading. Particularly the first half – wonderful stuff. I see.Have you read anything else by him? All Judgment Fled remains on my buy list after this—I’ve seen everyone else reading White’s stuff (seriously, there was a period that was an unofficial James White review month or something) but have yet to read any of his books. I had NOOOO idea that Hersey wrote SF! Much more familiar with his journalism and Hiroshima. Curious about this one since you gave it good marks. 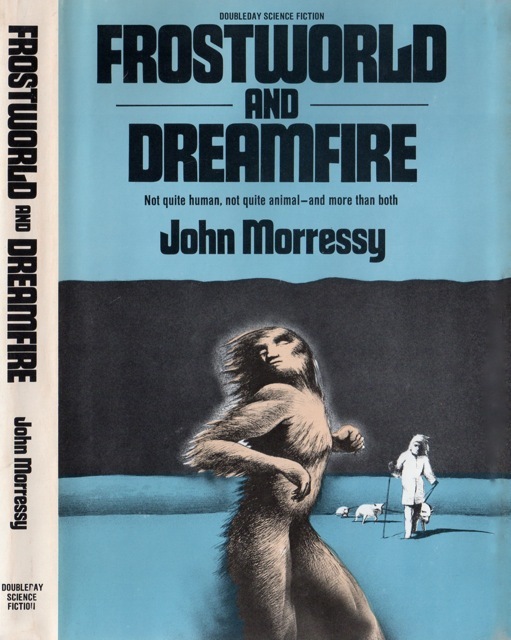 Same with Craig Strete; you’ve peaked my interest about an author I’d never heard of before, and can only imagine how fascinating native american SF would be. There are a few Pulitzer Prize (journalism + lit) winning authors to write SF — Herman Wouk comes to mind! 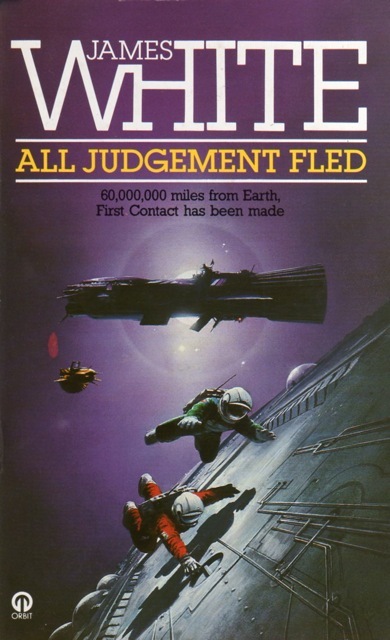 Here’s a very nerdy comment from me… check out the edition of All Judgment Fled published by Walker in 1969 with an uncredited cover. Looks like Jack Gaughan to me. Credit where it’s due! You mean the Corgi edition? I don’t think it looks that much like Gaughan… did he do covers for Corgi? I didn’t post it because I couldn’t find a good image of the cover. But yes, I agree with you completely. It’s very similar to his famous cover for The Left Hand of Darkness. That’s the one! 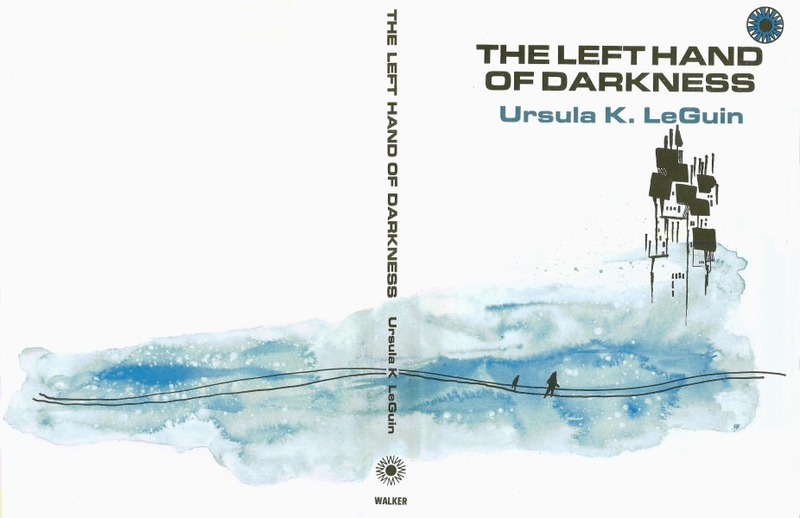 I like his work he did for Walker, such as his cover for The Wanderer, and Left Hand of Darkness as well. I’ve been tweeting them! 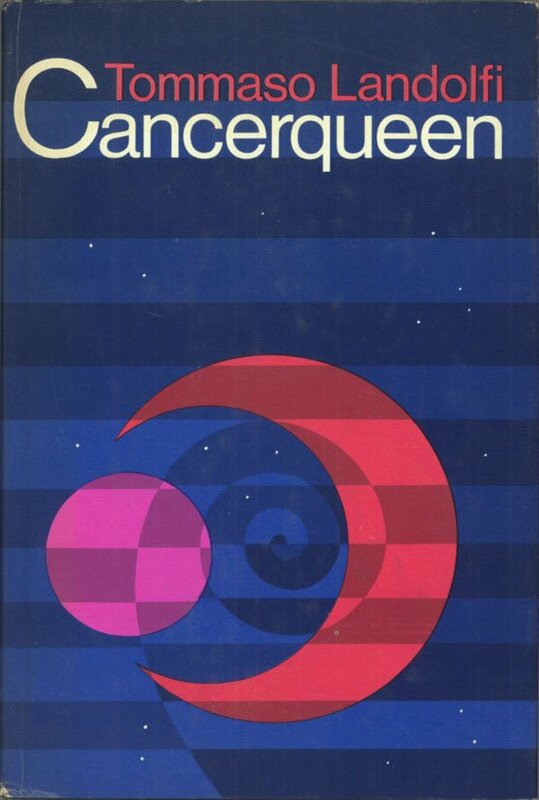 Thanks SO much for alerting me to them… I had seen the Le Guin cover and the Solaris cover but didn’t realize they were Gaughan’s work. Silverberg’s ‘Nightwings’ and ‘Thorns’ too. I’ll have a post up early next week with all the images of his art series for Walker & Co. — can’t find nice images for the following unfortunately (year = edition). A Gift from Earth (1970), Re-Birth (1970), The Stainless Steel Rat’s Revenge (170), The Stainless Steel Rat (1970), Al Judgement Fled (1969), Trouble with Lichen (1969), The Midwich Cuckoos (1969). 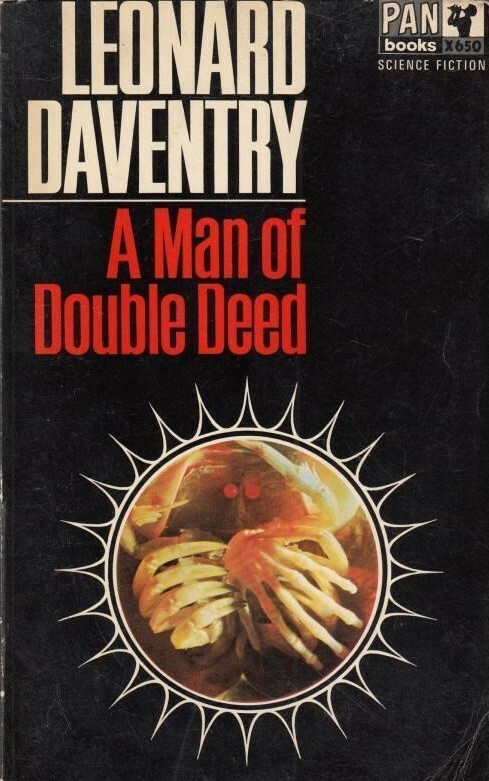 I think that series was published for the Sci-fi book club and the library market only. I’ve seen copies of Leiber’s ‘Specter is Haunting Texas’, but have never come across any of the others. A copy of ‘Trouble with Lichen’ with the cover can cost $50 – $75. Ah, well, all the more reason for a post as they must be quite rare… I don’t think I have any books by that press. Thanks for these! Strete sounds like a writer whose time may have come – these days Native Americans aren’t alone in feeling the world has passed them by. Last year Paul Kingsnorth’s The Wake, written in an invented Anglo Saxon about the Norman Invasion, hit similar themes. For those without your enviable devotion to old paperbacks, searching on Strete will find author-authorized free ebooks. Thanks for the comment! Yes, I heard of The Wake — I think I read an article about it… I was intrigued for sure. As for Strete, contemporary relevancy doesn’t always equate and increase in popularity…. But, make the first step! Grab/download a copy! haha. The best piece in the Craig Strete collection I thought,was “The Bleeding Man”.Most of them I found difficult.He’s a good author,but is also oblique and his prose rather mannered at times I think.He is admirable though. I’ll wait for your full review,when and if you do one,to comment fully and properly. Yes, they can be challenging. For sure… And yes, sometimes I felt like I didn’t have the cultural knowledge to understand all the elements (one of the reasons I did not write a full review). But, I think a story like “To See the City Sitting on Its Buildings” makes sense if you think about the desecration of holy places etc…. Yes,they are poignant and strange. Hey, I haven’t forgotten about Malzberg’s Beyond Apollo. But on my meandering way to commenting on it I happened to read All Judgement Fled. I agree wholeheartedly with you on James White and am keen ot read more. I liked this novel, the interplay of the characters, their neuroses and paranoia, and in particular the miscommunication and tension between the people on earth and the astronauts “exploring” the alien space ship. The early scene when the doctor spacewalks to the other ship to assess one of the astronaut’s complaints stood out for me – great stuff. I’m keen to read more White. Yeah, I’m pretty keen to read them on the basis of your reviews. I read a short, non-Sector General story of his that was good called Red Alert. In fact I will probably give the Sector General series a look in too. It’s funny you should mention Rama. I loved that book when I was 12, 13, 14, etc. Apart from The City and the Stars and The Sands of Mars its the one Clarke I have read repeatedly (though not since my teens). I was very disappointed when he decided to continue it as a series as I thought at the time Rama had the perfect end. And indeed the sequels are not a patch on the original. But yes, in terms of psychological depth Clarke has nothing on White.